She sounds as good as ever on this one. 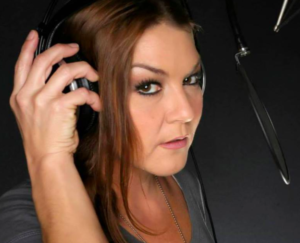 Just a few weeks ago I caught on to Gretchen Wilson’s latest album. I was a little late to the party. It’s a great collection of songs. I wanted to look at the song that she did with Kid Rock. It’s a really good one. But it’s not the official next single. That would be Summertime Town. And like the other songs on this record it’s a good one. I don’t know if it’s possible, but I think Gretchen is really finding her groove. I know she had her breakout success over a decade ago in country music. But much like her buddies, Big & Rich, I think she’s getting better. Those guys broke out too in the mainstream, but lately they’ve been having consistent success on the radio charts. I’m curious to see if Gretchen could take a similar route. Kind of the DIY route with radio. I know it’s not cheap, but this song right here is ready-made for today’s country radio. It’s got that mid tempo kind of groove that does really well. It’s a bit of a sad song. A woman that’s looking to get past a relationship with a guy. She doesn’t want to be just another summertime town for him. Just a passing fling that won’t last long. She’s looking for more than that this time. And how about that harmonica? We could use some more of that again in country music. Anyway, I love this one. It’s catchy. It sounds fresh and modern.